China, the world’ s leading coal producer and consumer, is to levy resource tax on coal on the basis of sales instead of production from December 1, in a move to shore up the dim industry and improve the deteriorating environment. The key to the reform, however, is to clear out charging fees involving coal. Due to historical reasons, Chinese coal producers pay taxes as well as fees under various names, such as coal price adjustment funds, compensation fees for native minerals, and fees for local economic development. The State Council, China’ s cabinet, decided to clear off these fees before implementing the resource tax reform on coal, at an executive meeting on September 29. 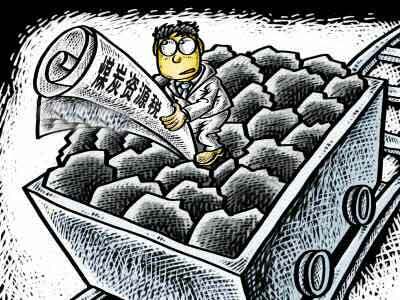 The reform plan bans local governments from setting up funds that charge coal producers, according to a circular issued by the Ministry of Finance and the National Development and Reform Commission (NDRC) in October. The circular stipulated that no more administrative charges or governmental funds involving coal, crude oil, and natural gas, are allowed to initiate by any local government, department or unit, except with permission from laws, rules and State Council regulations. There must be accountability for any violations, warned the Ministry of Finance and the NDRC, who also set Sunday as the deadline for local governments to report their cleanup campaign and the list of fees to be canceled and to be kept. China’s top coal producers have sped up actions to meet the deadline. North China’ s Shanxi Province has cut 10.8 billion yuan (1.77 billion US dollars) of fees coal producers have been charged since a massive cleanup in June. Shanxi, which has yielded one fourth of the country’ s coal since 1949, has seen sharp decrease of coal profit since the second half of 2012. The per ton earning dropped to 2.6 yuan (0.4 US dollars) in the first three quarters this year, compared to 45 yuan (7.4 US dollars) in 2013, and 139 yuan (22.8 US dollars) in 2011. The heavily coal dependent province was alert to the worsening situation in the coal industry even before the national reform was to launch. It worked out 20 measures last year in support of the industry, which cut 14.5 billion yuan (2.4 billion US dollars) burden for coal producers. Analysts from Taiyuan coal trade center do not see a price hike for coal in the fourth quarter, despite a modest increase of demand during the heating season and industrial consumption due to sluggish economic growth. More than 70 percent of the coal producers are in deficit, according to statistics from China National Coal Association. Under the coal tax reform, the market is to play a decisive role in resource distribution, as required by the Third Plenary Session of the 18th Communist Party Central Committee held in November, 2013. “The current practice does not reflect the scarcity of resources on the one hand, and leaves a loophole that allows some coal producers to conceal their real production and sales on the other,” said Geng Mingzhai, head of school of economics, Henan University. The waste during production and damage to the environment have not been calculated in the collection of taxes. “This is to be changed in the new tax reform,” said Geng. The short-term benefit for coal producers is obvious. They need not pay dozens of kinds of fees charged in various names. As a result of balancing local finance and coal producers, however, it is much likely the overall burden of coal producers will remain unchanged, said Kong Qingwen, chief of the bureau of finance, Wuhai City, Inner Mongolian Autonomous Region. Kong suggested local governments consider coal mining cost when imposing the tax, and try every means to help coal producers get through the tough time. According to the reform plan, provincial governments are the one to decide the tax rate within a specified range of two to 10 percent. A government official from Shanxi who declined to be named disclosed that the tax rate set by the province is less than 8.6%, which is to cut 17 billion yuan (2.78 billion US dollars) fees to be charged with coal producers. Local governments’ appetite, however, can be counterbalanced when higher rate weakens the competitiveness of their tax payers in the market, said experts. The new resource tax on coal has been deemed a crucial push for reforming the industry, presenting an opportunity for a better local taxation system. On Monday, China began a resource tax on coal based on price rather than the traditional basis of quantity. The tax rate will be decided by the provincial governments within a 2 and 10 percent range, according to the Ministry of Land and Resources. The policy was first announced at an executive meeting of the State Council chaired by Premier Li Keqiang on September 29. The coal tax reform will benefit resource regions, achieve balanced development between regions, help prevent over-consumption and boost industrial upgrades, according to the meeting. 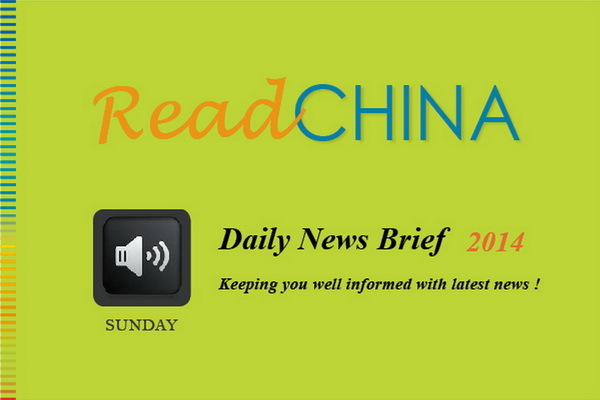 In 2011, China reformed the resource tax on crude oil and natural gas. “It’s an important move for China’s local taxation as well as an economic way to tackle the problem of smog pollution,” said Jia Kang, director of the Research Institute for Fiscal Science at China’s Ministry of Finance. He explained that the former quantity-based method caused unchanged tax volume despite price increases, which undermined the regulation effect of such tax. But now the tax rate will be decided within the set range of 2 to 10 percent, which is expected to regulate the coal industry more flexibly, he said. Such reform will stimulate the development in the regions rich in coal reserves like Xinjiang, Tibet, Ningxia, Guizhou, Shanxi and other less developed areas. “The new coal tax will bring huge and stable taxation and help improve local taxation system,” Jia said. He believed the policy is a part of China’s ongoing reforms in tax and fiscal systems that will align the country’s resource and pricing mechanisms with the market. It will also enhance energy saving and cost reduction initiatives. Meanwhile, the new policy abolished some dues related to price regulation and local development. Zhang Hong, deputy director of China National Coal Association (CNCA), said more than 109 coal-related taxes and dues took up about 35 percent of the coal industry’s revenue before. According to the CNCA’s data, the profit in coal sector stood at 80.47 billion yuan in Q1-Q3 this year, down 47.1 percent from a year ago, with more than 70 percent of coal enterprises are suffering deficits. “Our priority still stresses the control of total coal production,” said Fang Jun, director of coal department of National Energy Administration. Along with deepening reform, stricter supervision to prevent over capacity and illegal production is another key to drag China’s coal industry out of current plight, Fang added. 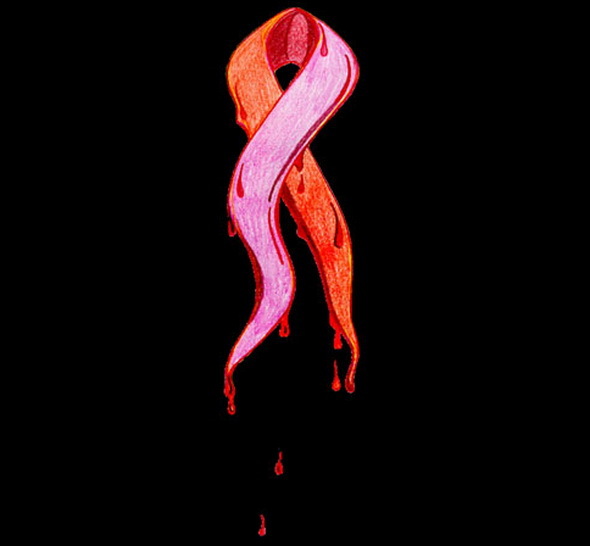 The number of people living with HIV/AIDS (PLWHA) in China had hit 497,000 by the end of October 2014, with 154,000 deaths, according to latest official figures. Highlighting an obvious increase in the number of HIV carriers and AIDS patients, Wang Guoqiang, vice director of the National Health and Family Planning Commission, revealed the figures on Sunday of November 30 at an HIV/AIDS awareness promotion event, ahead of World AIDS Day on December 1. Noting an overall low pandemic situation in the country with exceptions to some regions, Wang said sexual transmission is the main infection channel while mother-to-child and drug needle infection rates are in a lower level. According to Wang, infections among young students, the middle aged and the elderly have been particularly noticeable. A total of 3,413 anti-virus treatment institutions have been set up in 31 provincial-level regions, and more than 9,000 voluntary HIV test stations were set up nationwide. 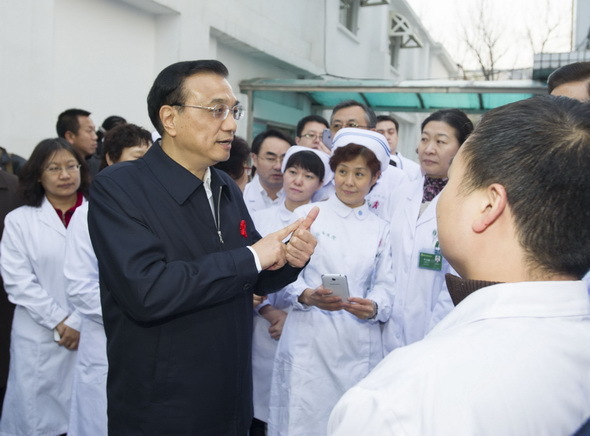 Also on Sunday, Premier Li Keqiang vowed more work on prevention and treatment of AIDS, adding that China is willing to cooperate with other countries to combat HIV. An Italian doctor who contracted the deadly Ebola virus in Africa is struggling in a Rome hospital, where doctors are treating him with experimental drugs in attempt to keep the raving effects of the virus at bay. Italian media coverage, according to experts, has been calm and even-handed, in contrast to coverage of the first Ebola patient in some other countries. The patient, a 50-year-old Sicilian doctor who was working with an Italian humanitarian organization seeking to combat the disease in Sierra Leone, contracted the disease in the field and was flown back to Rome for treatment in a specially sealed military aircraft. Since then, however, doctors said his condition has worsened, with reports from Saturday indicating he was starting to suffer from intestinal issues, like vomiting, nausea, and diarrhea, and that he was running a high fever. In early November, Italian doctors called for quarantine for everyone arriving from the Ebola-stricken parts of Africa, warning that each arrival “poses a risk of being a Trojan house that could cause a tragedy.” But immigration policies were not changed. Instead, media coverage has been remarkably calm since the Sicilian doctor arrived Tuesday. Ebola is spread by direct contact with blood or other body fluids from an infected person or animal. The disease has been known since the 1970s, but an outbreak started early this year in Guinea, and the disease is now present in six countries in western Africa. By the latest count, Ebola has claimed nearly 5,500 lives. In recent months, some cases have started to appear in other parts of the world, usually transmitted by infected people traveling from one of the six infected countries in Africa. Tuesday’s arrival is the first in Italy. Despite the worsening condition of the patient, doctors say they still hope he can recover. China is to adopt a deposit insurance scheme to better protect savers and free up interest rates. The Legislative Affairs Office of China’s State Council published a set of draft regulations containing 23 articles on its website on Sunday to solicit public opinion until December 30, 2014. Financial institutions will be required to pay insurance premiums to a special fund and an agency will be set up to manage the money. Domestic banks’ overseas branches and foreign banks’ China branches are exempt. The fund will pay maximum compensation of 500,000 yuan (81,500 U.S. dollars) per depositor if a bank suffers insolvency or bankruptcy. The People’s Bank of China (PBoC), the country’s central bank, said 99.6 percent of Chinese depositors saved less than this sum. Banks will cover losses more than 500,000 yuan with their own assets, according to the regulations. The new agency will make detailed rules on how to manage the fund and set insurance premium rate for different banks based on how riskily they run their business. Well-informed sources told Xinhua that the scheme will likely be implemented as early as at the beginning of 2015. “The deposit insurance scheme is one important component of a financial safety net. Its purpose is to step up supervision of banks and prevent risks in the financial sector”, said the PBoC. The scheme will significantly improve the competitiveness of medium and small-sized banks as the insurance will assure depositors of the safety of their savings, according to the central bank. “Therefore, it will help create a fair environment for all financial institutions,” said the PBoC. Deposit insurance is implemented in 112 economies to protect depositors, in full or in part, from losses caused by a bank’s inability to pay its debts when due. All G20 members have adopted such scheme, except South Africa, Saudi Arabia and China. Bank credit in China is virtually endorsed by the government. “With the scheme in place, the government will retreat and leave banks to bear their own risks,” said Guo Tianyong, a banking researcher with the Central University of Finance and Economics. The country started to mull the establishment of a deposit insurance scheme in 1993 and the central authority promised to set up such scheme in an ambitious reform plan released in November 2013 after 20 years of deliberation. The deposit insurance scheme is considered a precondition for China to free up deposit rates — the last and most important step of interest rate liberalization, according to Lian Ping, chief economist with the Bank of Communications. Interest rate liberalization has been high on the financial reform agenda. In March, central bank governor Zhou Xiaochuan said China was very likely to ease its grip on banks’ deposit rates in the coming one or two years. Last Friday, the PBoC decided to raise the deposit rate ceiling to 120 percent of the one-year benchmark deposit rate, from 110 percent, which economists saw as an important step in interest rate liberalization. With more autonomy in deciding deposit rates, many banks tended to lure savings with high return promise and invest in risky projects. “The deposit insurance scheme will restrict them from going too far and keep risks under control,” said Lian. “The establishment of such scheme is critical to deepening the financial reform,” said Huang Xiaolong, vice director of the PBoC’s Financial Stability Bureau. China is undergoing one of the boldest financial reforms so far this year following the central bank’s publishing of draft rules on a deposit insurance system. The People’s Bank of China (PBoC), the central bank, published the rules on Sunday of November 30 and has since started soliciting public opinion after 21 years of deliberation. Under the draft rules, accounts with deposits of up to 500,000 yuan (81,500 U.S. dollars) will be insured per depositor if a bank suffers insolvency or bankruptcy. Financial institutions will be required to pay insurance premiums into a fund and an agency will be set up to manage the money. The move highlights the leadership’s resolve in further rebalancing the financial system with market-oriented measures. Deposit insurance was mulled as early as December 1993, when the State Council, or China’s cabinet, said a deposit insurance fund would be founded in order to protect public interests in a decision to reform the financial system. Since then, the DIS has been repeatedly brought under the spotlight, including in 2005, 2008 and 2010. Nevertheless, it remained on hold. It gained renewed attention last year when, in a key document on deepening reforms, the Communist Party of China mentioned moves to establish a deposit insurance system and improve the market-based exit mechanism for financial institutions . The delay was partly due to opposition from banks that would have to pay for the scheme, instead of enjoying the implicit government guarantee already in place free of charge. In particular, bigger banks, with strong state backing and established roots in the community, would have to set aside capital for the DIS despite the chance of a bank run being very unlikely. The plan did not address in detail what premiums banks would have to pay, but made clear a risk-based system with standard rates plus additional risk rates that took into consideration individual banks. A Bank of Communications research paper published on Monday said the international average was around 0.015 to 0.02 percent, while Wei Yao, China Economist of Paris-based Societe Generale, put the international average rate at 0.05 percent. Setting specific rates and managing the DIS fund will be a new agency’s task, according to the plan, which also empowered the agency to step in before bank runs, bearing similarity to the United States Federal Deposit Insurance Corporation’s role in forestalling bank failures. With such broad authority, and given China’s two standing bank overseers – the PBoC and China Banking Regulatory Commission – experts urge a clear coordination mechanism. The scheme, commonplace around the globe as a way to boost confidence and prevent bank runs, also serves as a great leap of faith in China which seeks to introduce more disciplined risk-taking to the banking industry long dominated by giant state players. As a string of private banks look to join the game, deposit insurance will also put up the necessary foundation for potential insolvency risks. Chinese banks’ favor of state-owned enterprises and disdain for private entrepreneurs have long been accused as one core problem of the economy’s imbalance. The DIS is also seen as a monumental step of policy rate liberalization. Without deposit protection, smaller banks would most likely need to pay significantly higher rates to retain depositors under a fully liberalized rate environment – owing to the greater stability the larger banks could offer depositors, said Fitch ratings. As such, a deposit insurance plan would be essential to creating a more level playing field between larger and smaller institutions. “Once the DIS is put into place, deposit rate liberalization, the transition for the central bank towards a new policy rate as well as the relaxation of the loan-to-deposit ratio will all need to speed up,” according to Yao of Societe Generale. Moreover, the DIS could impact China’s vast shadow banking system, where wealth management products have usually been protected under the previous universal government guarantee. Taken together, the insurance would be an important development for further financial reforms to reduce moral hazard and inappropriate risk-taking by banks – by extension contributing to a more rational pricing of capital in the economy, said Fitch. This would ultimately translate into greater economic rebalancing as well as a potentially lower propensity for the state to support non-systemically important banks, Fitch added. China’s proposed bank deposit insurance scheme will be an important development for further financial reforms, reducing financial risks and rebalancing the economy, said Fitch in its latest report. “This (the deposit insurance scheme) would ultimately translate into greater economic rebalancing as well as a potentially lower propensity for the state to support non-systemically important banks,” Fitch said. According to the People’s Bank of China (PBOC), the proposed insurance scheme will cover a maximum of 500,000 yuan (81,566 U.S.dollars) per deposit account (yuan and foreign currency), allowing for full insurance of 99.6 percent of accounts or an estimated 46 percent of total deposits. Deposits at the China branches of foreign institutions, and Chinese banks’ offshore deposits, will not be covered. Neither will interbank deposits of other institutions. Fitch said that the deposit insurance will lead to further financial reforms and potentially significant changes to China’s banking system as well as macroeconomic effects. Introducing a deposit insurance scheme in conjunction with a resolution framework could mean the state may lower the likelihood of support for less systemically important banks, thus mitigating inappropriate risk-taking, said the report. Furthermore, Fitch views insurance as an important pre-requisite for full deposit rate liberalization – a necessary reform for more market-determined pricing of capital. On Sunday, the PBOC published draft rules for the deposit insurance system and started soliciting public opinion. Well-informed sources told Xinhua that the scheme will likely be implemented as early as the beginning of 2015. 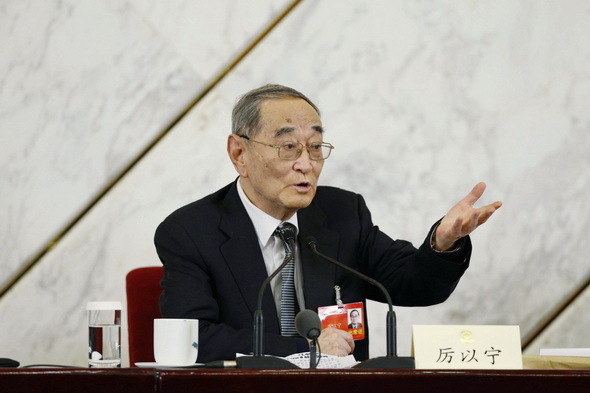 Li Yining (厉以宁) and Wu Jinglian (吴敬琏), two Chinese economists, said the economic “new normal” is a more proper development method for the world’s second largest economy. Wu agreed that the former pattern of “high speed with huge investment” should be abandoned. Wu said that the stimulus package of 4 trillion yuan and 10 trillion yuan loans in 2009 only triggered a three quarters of growth over 10 percent, and is not a sustainable plan. He mentioned the slower pace doesn’t equate to lower efficiency and the “new normal” China is striving for will balance the speed and quality of development. The blind pursuit of fast growth caused problems like excessive consumption of resources, damage to the environment, overcapacity and lack of innovation, Li said. China’s growth rate decelerated to 7.7 percent in 2012 and 2013, and in the first three quarters of 2014, the figure further declined to 7.4 percent. Li added that high-tech industries now demand more from employees, which poses new challenges. Disciplinary inspectors have arrived at all target state organizations as of Sunday on November 30 in a new round of campaign initiated by the Communist Party of China (CPC) to put a check on officials’ misconduct. The third round of inspection for 2014 targets 13 state organizations: the Ministry of Culture, the Ministry of Environmental Protection, China Association for Science and Technology, All-China Federation of Industry & Commerce, China Radio International, China Southern Airlines, China State Shipbuilding Corporation, China Unicom, China Shipping Company, China Huadian Corporation, Dongfeng Motor Corporation, Shenhua Group and Sinopec. These inspectors will be stationed in their respective target unit for about one month, aiming to uncover officials’ misconduct, especially that concerning corruption, undesirable work styles and personnel selection and appointment. Since the 18th CPC National Congress was held in 2012, the anti-graft campaign has completed inspections across 31 provincial-level regions as well as in the Xinjiang Production and Construction Corps, effectively exposing discipline violation and corruption. Hospital, home to a center for HIV/AIDS treatment, in Beijing, ahead of World AIDS Day. Chinese Premier Li Keqiang on Sunday of November 30 promised more work on prevention and treatment of AIDS and is willing to cooperate with other countries to combat HIV. 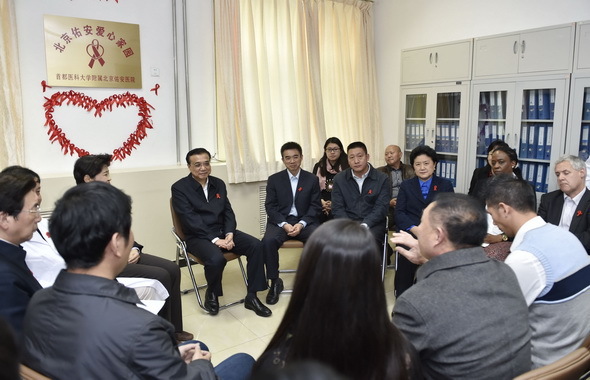 Li made the remarks when visiting Beijing’s YouAn Hospital, home to a center for HIV/AIDS treatment, just ahead of World AIDS Day on December 1. Latest figure suggests there were 436,800 people living with HIV/AIDS in China at the end of 2013, and 136,300 had died following infection. 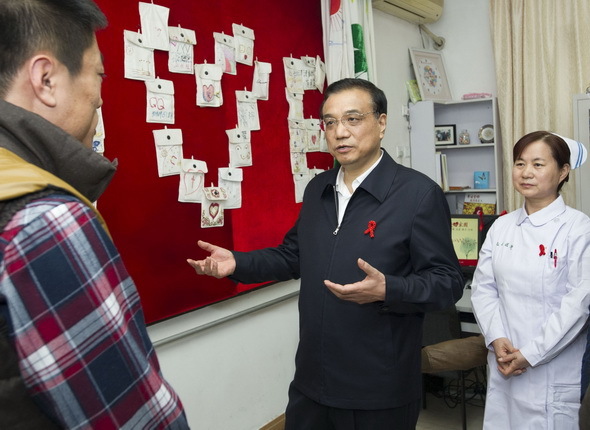 Noting that China still boasts low HIV rates, Li said the government must assume the principle role in combating HIV and would continue to increase input on its prevention and treatment. Efforts should be made to strengthen HIV screening, focus on high risk groups, and seek breakthroughs in the development of new-generation vaccines and drugs to counter the virus, he said. HIV prevention and treatment measures that have been proven to be technologically sound, economically affordable and socially benefitting should be promoted across the country, Li said, adding that efforts must be made first to ensure zero mother-to-child infections. The premier said the government would rely more on the private sector, set up HIV prevention funds, and perfect its tax reduction and exemption policies for public welfare social organizations. It would also work to ensure HIV-positive patients’ access to equal employment and medical treatment, and improve their life quality. China is also willing to deepen cooperation and share its experiences with the world in combating HIV, Li said. New regulations on family foster care in China will take effect on Monday of December 1, according to the Ministry of Civil Affairs. The new rules allow each foster family to take in a maximum of two children, instead of the current three, provided that the family does not have a child of its own aged below six. The formal qualifications required of foster parents are also being raised. Prospective parents should have completed at least nine years of formal education and their financial status should be at least average for their region. Foster families are already an anomaly in China and social workers are worried that while the new regime may better protect children, it may make the rare foster families even rarer. Huanhuan, an abandoned baby girl, was lucky enough to find a foster family in Nanning, capital of south China’s Guangxi Zhuang Autonomous Region. Nine months ago, a policeman found the newborn Huanhuan on a sidewalk and took her to a local welfare center. Several days later, a 54-year-old housewife named Peng Xianxian took her home and became responsible for her day-to-day care until Huanhuan can be adopted. Relying on only 1,100 yuan (180 U.S. dollars) from the welfare center each month for each child, and her husband’s monthly pension of 3,000 yuan, the couple has fostered a total of nine children over the past 12 years. Now they only have Huanhuan and Axia, another abandoned girl. Other children have all found permanent families. “I don’t have a job. Although we are under economic pressure, we feel good giving these children the love of a family,” said Peng. Families like Peng’s are hard to find, and developing new foster families is very difficult, Chen Lining, deputy head of Nanning child welfare center, told Xinhua. The center has developed 180 foster families since 2000, but with drop outs, the figure has barely increased since 2006. “Children without proper parental care tend to be withdrawn or violent. That’s why I keep trying to find new foster families,” said Huang Yanlan, who has worked on fostering in the Nanning center for five years. Even Peng, who has devoted 12 years to looking after unwanted kids, this “job” will not last forever. Like many other foster parents in their fifties and sixties, she plans to quit as soon as her grandchild is born. In most Chinese elderly people’s minds, nothing compares to taking care of their own grandchildren, while many young couple worry about money or just don’t want such a responsibility. Currently more than 470 children are living in the Nanning center, most of whom are disabled in some way. Among them, 200 healthy or mildly disabled are fostered with families. Every year more abandoned babies are brought in, and new foster families become harder to find, overburdening the already crowded center. Family foster care began in China in the early 1990s. Living with foster families can be of great benefit to the mental and physical health of orphans and disabled children. Currently, about 30,000 children are living in foster families across the country. The number is still very small. Many state orphanages are overcrowded, so abandoned children are sometimes informally fostered by caring people who simply find them left at hospitals or by the roadside. A 2013 fire that killed seven children in central China’s Henan Province drew the whole country’s attention to Yuan Lihai, a controversial and unlicensed Chinese carer, and her orphanage. For 25 years, without any license, Yuan had taken in over 100 orphans or foundlings, most of whom had congenital illnesses. After the fire, some accused her of taking in children for profit, while others defended her for her personal war against China’s poor childcare. All in all, the debate showed how inadequate public services for unwanted children really are in China. In March, the use of a baby hatch in south China’s Guangzhou city was suspended, because the operator could no longer deal with the number of babies being left, another horn on the country’s dilemma of unwanted infants. 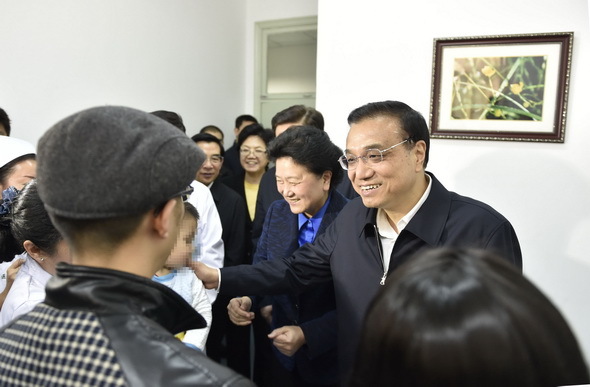 Huang believes that if more families join the army of foster carers, the welfare center could take in more unwanted children rather than close the baby hatch in despair. “So apart from raising the monthly allowance for foster families, we should raise people’s awareness and give them a chance to know about these children, remove the obstacles in their minds, and welcome them to their families,” said Huang. China and Japan will begin to destroy the chemical weapons abandoned by Japan in northeast China at the end of World War II on Monday, the Chinese Foreign Ministry announced on Sunday of November 30. Trial destruction will take place on Monday of December 1 in the Harbaling area of China’s Jilin Province, where the largest amount of the weapons are buried, an estimated 330,000 pieces, according to the Ministry. This marks a new stage in disposal of the weapons, which will be decisive for the destruction of all of them, the Ministry said. Japan abandoned at least two million tonnes of chemical weapons at about 40 sites in 15 Chinese provinces at the end of World War II, most of them in the three northeast provinces of Heilongjiang, Jilin and Liaoning.Abandoning these weapons was one of many crimes during Japan’s invasion of China. Though the war has been over for decades, the weapons still pose huge threats to Chinese people, property and the environment. In accordance with the Convention on the Banning of Chemical Weapons and the memorandum on the destruction of abandoned chemical weapons signed by China and Japan in 1999, Japan will offer all necessary funds, technology, expertise, facilities and China will provide assistance. “China will continue to urge Japan to speed up the destruction process on the precondition of ensuring personnel and environmental safety,” the Ministry said. Natural gas imports to China through the China-Central Asia Gas Pipelines exceeded 65 million tonnes till October, Khorgos customs in northwest China’s Xinjiang Uygur Autonomous Region announced on Sunday of November 30. The pipelines, China’s first major energy cooperation project in central Asia, run from Turkmenistan across Uzbekistan and Kazakhstan to China, with a total delivery capacity of 55 billion cubic meters of natural gas every year, one fifth of China’s natural gas needs. According to Khorgos customs, the lines delivered 17 million tonnes of gas from January to October this year, with a year-on-year growth of 3.5 percent. As a part of major developments for the Silk Road economic belt, the China-Central Asia Gas Pipelines have three lines in operation. The construction of Line D started in September this year with a total investment of 6.7 billion U.S. dollars. The project is expected to be completed in 2020. China’s revised Workplace Safety Law, which imposes harsher punishment on offenders, will take effect on Monday of December 1. Adopted in August, the amendment stipulates fines ranging from 200,000 yuan (32,500 U.S. dollars) to 20 million yuan for enterprises involved in serious workplace accidents, depending on the resultant losses. 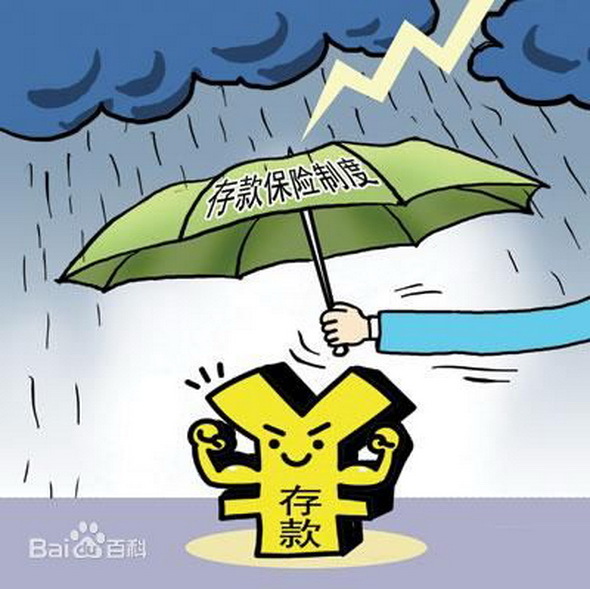 Under the old law, fines for enterprises violating the law were no more than 100,000 yuan or less than five times the income earned from the illegal operations. Managers of such enterprises who are found to have failed in their duty to ensure safety can be fined between 30 and 80 percent of their annual income corresponding to losses. A judicial interpretation jointly mapped by the Supreme People’s Court and the Supreme People’s Procuratorate will also take effect Monday, stipulating harsher punishment for the production and sale of fake and substandard pharmaceuticals. According to the document, those who produce or sell fake or substandard drugs for pregnant women, infants, children and patients in critical condition will be given particularly heavier penalties. China is to adopt a deposit insurance scheme to better protect the interests of depositors and free up interest rates. Financial institutions will be required to pay insurance premiums and an agency will be set up to manage the money. Domestic banks’ overseas branches and foreign banks’ China branches are exempt. The fund will pay maximum compensation of 500,000 yuan (81,500 U.S. dollars) per depositor if a bank suffers insolvency or bankruptcy. Banks will pay indemnity with their own assets to those who deposit more than 500,000 yuan. The new agency will make detailed rules on how to run the fund. Deposit insurance is a measure implemented in more than 110 economies to protect depositors, in full or in part, from losses caused by a bank’s inability to pay its debts when due. The deposit insurance scheme is one important component of a financial safety net, China’s central bank said. In addition, the deposit insurance scheme is considered a precondition for China to free up deposit rates — the last and most important step of interest rate liberalization. Four people were killed and another injured in a road accident on Sunday morning of November 30 in southwest China’s Guizhou Province, local authorities said. The accident happened at 7:35 a.m. when a truck collided with a car on the highway that links Junyi and Chishui cities. Two died at the scene and another two died after emergency treatment. The injured person has been taken to hospital. A yellow warning for waves brought by a blast of strong cold air was issued on Sunday of November 30 by the National Marine Environmental Forecasting Center. The cold air is expected to bring strong gust to Bohai Sea, the Yellow Sea, the East China Sea, waters surrounding the Diaoyu Islands and the Taiwan Strait, inducing huge waves along the country’s coastal areas. From Sunday to Monday noon, waves as high as three to five meters are expected in the Taiwan Strait, while the northern coastal areas of east China’s Shandong Province will see waves 2.5 to 3.8 meters high. Meanwhile, waves of between two and three meters high are expected in the waters off the coast of northeast China’s Liaoning, north China’s Hebei and Tianjin, and east China’s Jiangsu, Zhejiang and Fujian, according to the center. The center warned ships in affected areas and urged local authorities to take precautions. China’s weather observatory on Sunday issued a yellow alert for heavy snow that is to hit the country’s northeast provinces. The National Meteorological Center (NMC) forecasted that heavy snow will freeze Heilongjiang, Jilin and Liaoning provinces until Monday afternoon and some of the regions will see blizzards. The NMC advised residents to stay indoors and asked local authorities to brace for the heavy snow. addresses the central foreign affairs meeting held on November 28-29, 2014, in Beijing. Chinese President Xi Jinping looked forward to a more enabling international environment for China’s peaceful development as he delivered an address at a conference held in Beijing on November 28-29. At the Central Conference on Work Relating to Foreign Affairs, Xi, who is also General Secretary of the Central Committee of the Communist Party of China (CPC) and Chairman of the Central Military Commission, underscored the importance of holding high the banner of peace, development and win-win cooperation, pursuing China’s overall domestic and international interests and its development and security priorities in a balanced way, focusing on the overriding goal of peaceful development and national renewal, upholding China’s sovereignty, security and development interests, fostering a more enabling international environment for peaceful development and maintaining and sustaining the important period of strategic opportunity for China’s development. These efforts will ensure the realization of the “two centenary goals”(doubling the 2010 GDP and per capita income of urban and rural residents and finishing the building of a society of initial prosperity in all respects when the CPC celebrates its centenary and turning China into a modern socialist country that is prosperous, strong, democratic, culturally advanced and harmonious when the People’s Republic of China marks its centenary) and the Chinese dream of the great renewal of the Chinese nation, Xi said. The conference was presided over by Li Keqiang, member of the Standing Committee of the Political Bureau of the CPC Central Committee and Premier of the State Council. Attending the conference were: Zhang Dejiang, member of the Standing Committee of the Political Bureau of the CPC Central Committee and Chairman of the Standing Committee of the National People’s Congress; Yu Zhengsheng, member of the Standing Committee of the Political Bureau of the CPC Central Committee and Chairman of the National Committee of the Chinese People’s Political Consultative Conference; Liu Yunshan, member of the Standing Committee of the Political Bureau and member of the Secretariat of the CPC Central Committee; Wang Qishan, member of the Standing Committee of the Political Bureau and Secretary of the Central Commission for Disciplinary Inspection of the CPC Central Committee and Zhang Gaoli, member of the Standing Committee of the Political Bureau of the CPC Central Committee and Vice Premier of the State Council. Convened by the central Party leadership to advance China’s diplomacy under new conditions, this important meeting aims to, following the guidance of the Deng Xiaoping theory, the important thought of the “Three Represents” and the Scientific Outlook on Development, fully implement the decisions of the 18th CPC National Congress and the Third and Fourth Plenums of the 18th CPC Central Committee, gain a full understanding of the changing international developments and China’s external environment, lay down the guidelines, basic principles, strategic goals and major mission of China’s diplomacy in the new era and endeavor to make new advances in China’s foreign relations. 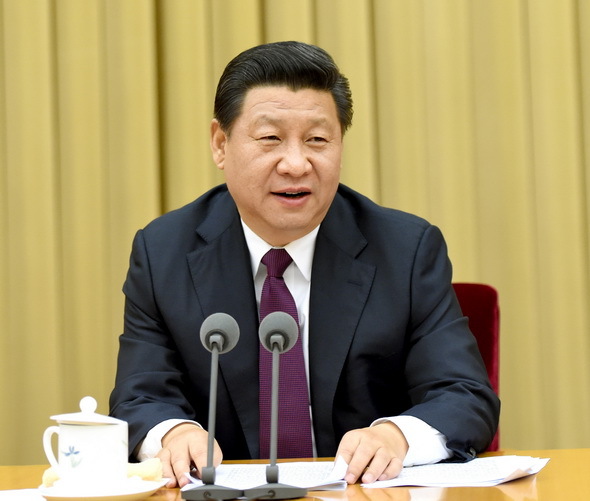 In his address, Xi Jinping pointed out that since the 18th CPC National Congress, the central Party leadership, bearing in mind China’s domestic and international interests, has maintained continuity and consistency of China’s foreign policy, strengthened overall planning and taken bold initiatives, thus achieving notable progress. “Keeping in mind new tasks that should be carried out under new conditions, we have worked hard to creatively pursue China’s diplomacy in both theory and practice, highlight the global significance of the Chinese dream and enrich the strategic thinking of peaceful development,” Xi said. “We have advocated the building of a new type of international relations underpinned by win-win cooperation, put forward and followed a policy of upholding justice and pursuing shared interests and championed a new vision featuring common, comprehensive, cooperative and sustainable security,” he said. “We have endeavored to build a new model of major-country relations, put forward and practised a neighborhood policy featuring amity, sincerity, mutual benefit and inclusiveness as well as the guideline on China’s relations with Africa featuring sincerity, delivering outcomes, affinity and good faith,” he added. Xi said these accomplishments would not have been possible without the dedication of comrades engaging in China’s foreign affairs, especially those stationed overseas. On behalf of the CPC Central Committee and the State Council, Xi Jinping paid high tribute and extended sincere greetings to all those working on the diplomatic front. “We should be fully mindful of the complexity of the evolving international architecture, and we should also recognize that the growing trend toward a multi-polar world will not change,” Xi said. “We should be fully aware that the global economic adjustment will not be smooth sailing; but we also need to recognize that economic globalization will not stop,” he said. “We should be fully alert to the grave nature of international tensions and struggle; but we also need to recognize that peace and development, the underlying trend of our times, will remain unchanged. We should be keenly aware of the protracted nature of contest over the international order; on the other hand, we need to recognize that the direction of reform of the international system will remain unchanged,” said the Chinese leader. “We should fully recognize the uncertainty in China’s neighboring environment, but we should also realize that the general trend of prosperity and stability in the Asia-Pacific region will not change,” he added. Xi Jinping emphasized that today’s world is changing. It is a world in which new opportunities and new challenges keep emerging, a world in which the international system and international order are going through deep adjustment and a world in which the relative international forces are in profound shift in favor of peace and development. Xi stressed that China should develop a distinctive diplomatic approach befitting its role of a major country. “We should, on the basis of summing up our past practice and experience, enrich and further develop our diplomatic perceptions, and conduct diplomacy with a salient Chinese feature and a Chinese vision. We should uphold the CPC’s leadership and socialism with distinctive Chinese features, and stick to our development path, social system, cultural tradition and values. “We should continue to follow the independent foreign policy of peace, always base ourselves on our own strength in pursuing the development of the country and the nation, and follow our own path unswervingly. While we pursue peaceful development, we will never relinquish our legitimate rights and interests, or allow China’s core interests to be undermined. We should promote democracy in international relations, and uphold the Five Principles of Peaceful Coexistence,” Xi said. “We should increase China’s soft power, give a good Chinese narrative, and better communicate China’s message to the world,” Xi said. Li Keqiang pointed out when presiding over the meeting that General Secretary Xi Jinping’s important and well-focused address provides important guidance for conducting China’s diplomacy both in the current stage and in time to come. All local governments and government bodies should gain a thorough understanding of the address, act in accordance with it and be guided by the decision of the central Party leadership in both thinking and action. “To this end, we must base ourselves on China’s national condition of being in the preliminary stage of socialism and of being a major developing country, work hard to maintain and make good use of the period of strategic opportunity for China’s development and conduct diplomacy in the interest of building a society of initial prosperity in all respects and meeting the strategic goal of achieving the great renewal of the Chinese nation,” Li said. “We must continue to pursue both an independent foreign policy of peace and peaceful development, uphold international justice, work for greater democracy in international relations, promote mutual benefits, advance economic diplomacy, jointly address multiple global challenges, promote the progress of human civilization and continue to open up new horizon in China’s diplomacy,” said Li. 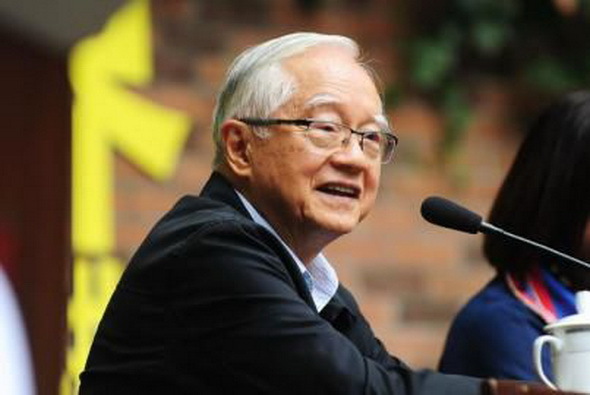 State Councilor Yang Jiechi, who made a summary report of the conference, said that General Secretary Xi Jinping’s important address, which embodies the central Party leadership’s latest creative achievement in diplomatic theory and practices, is of great significance in guiding China’s diplomacy in both the current stage and in time to come. Leading officials from the CPC International Department, Ministry of Foreign Affairs, Ministry of Commerce, Ministry of Culture, Information Office of the State Council, Headquarters of the General Staff of the People’s Liberation Army, Zhejiang Province and the Chinese Embassy in the United States spoke at the conference. 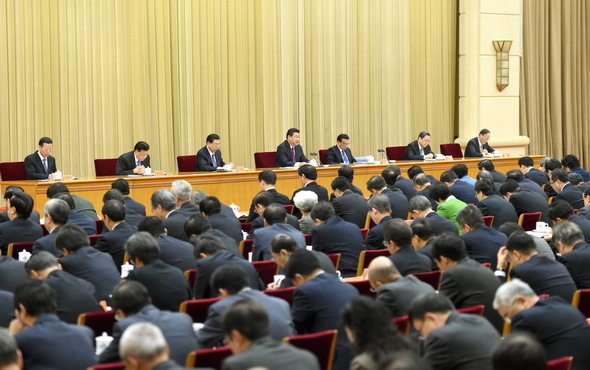 The conference was attended by members of the Political Bureau of the CPC Central Committee, members of the Secretariat of the CPC Central Committee, relevant leading officials of the Standing Committee of the National People’s Congress, state councilors, president of the Supreme People’s Court, procurator-general of the Supreme People’s Procuratorate, relevant leading officials of the Chinese People’s Political Consultative Conference and members of the Central Military Commission. The conference was participated by the following officials: leading officials from provinces, autonomous regions and municipalities under direct jurisdiction of the central government as well as the Xinjiang Production and Construction Corps, cities separately listed in the state plan, relevant central Party, government and military departments and some enterprises and financial institutions under the direct management of the central government, as well as Chinese ambassadors and consuls-general with ambassadorial rank posted overseas, Chinese representatives to international organizations and commissioners of the Foreign Ministry to the Hong Kong Special Administrative Region and the Macao Special Administrative Region. addresses the central foreign affairs meeting held on November 28 to 29, 2014, in Beijing.